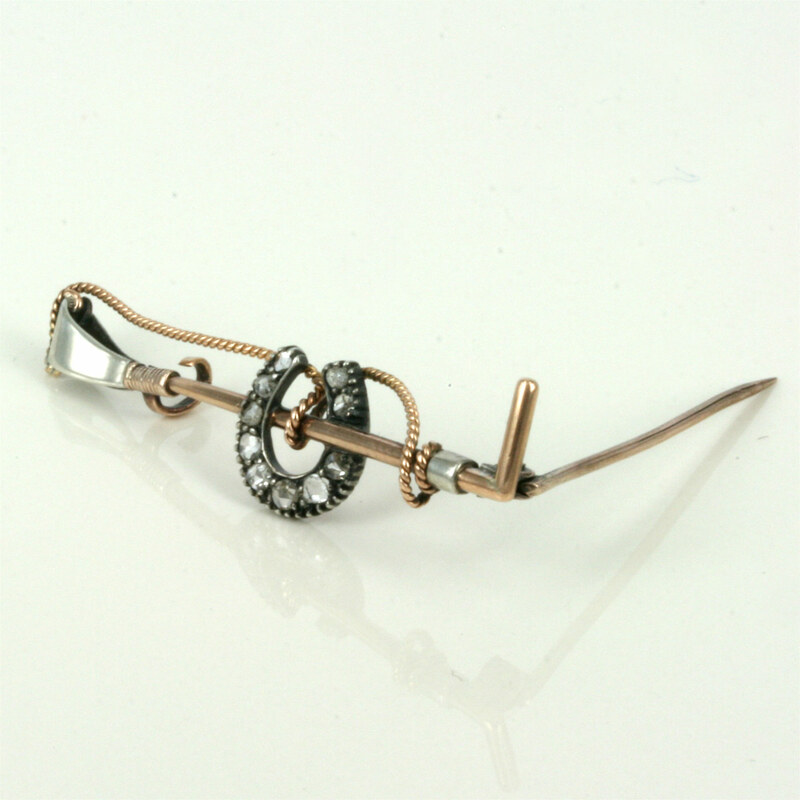 Product code: ES1040 Categories: Antique, Sold Jewellery. This is a perfect antique diamond brooch for any horse enthusiast. 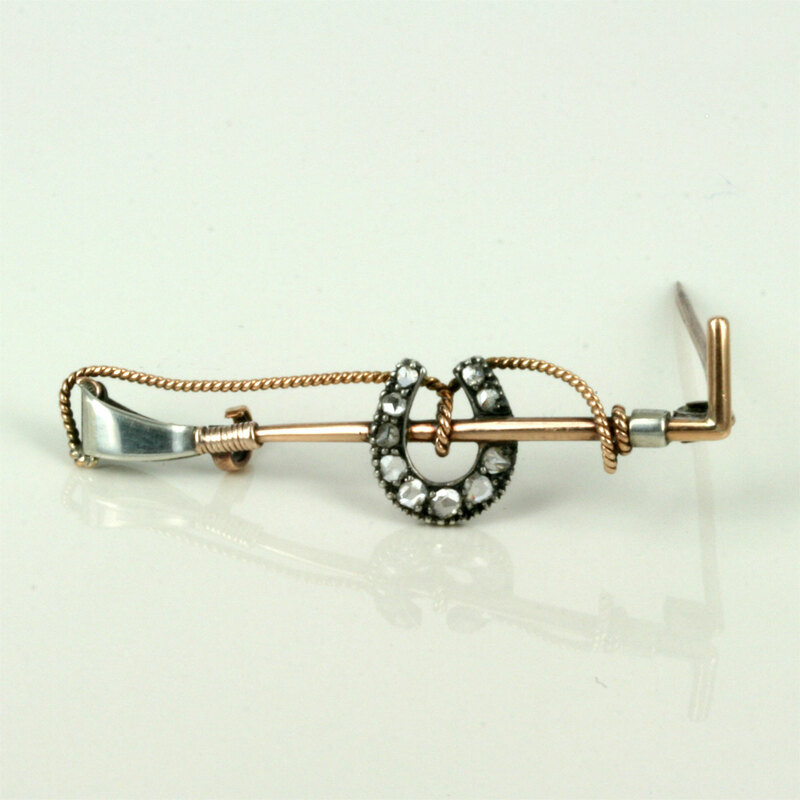 Made with the riding crop holding the pin, this brooch measures 4.6cm in length and looks superb on any outfit. 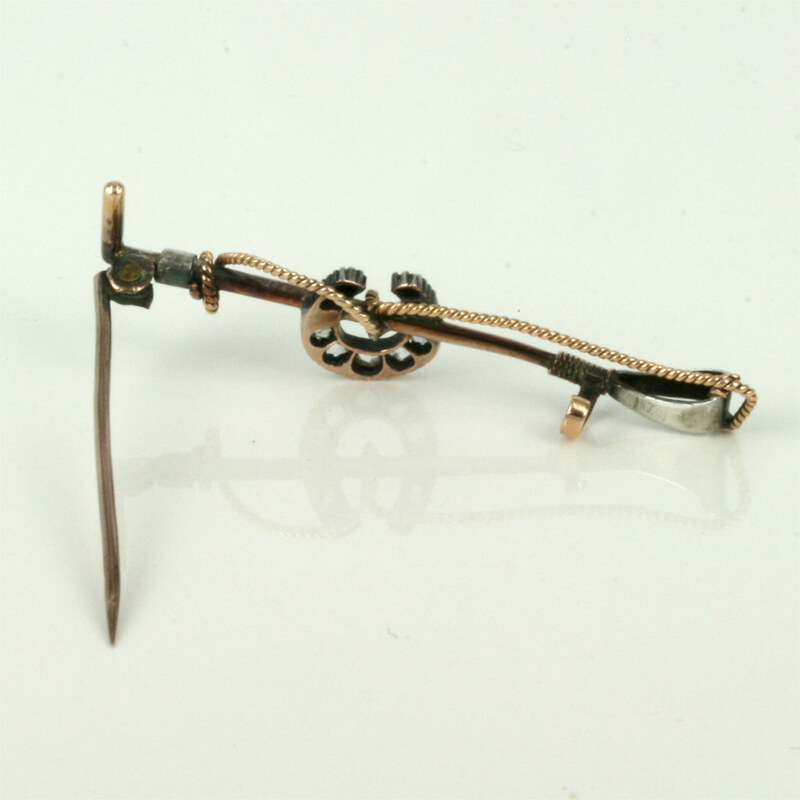 A fantastic example of an antique diamond horseshoe and riding crop brooch.